First of all, even if you don’t have time to visit many places on your way, don’t worry, in comparison with usual boring motorways, Ring Road has a very picturesque views: breathtaking waterfalls, mountains and hot springs to name just a few. Just pay attention to wild animals that might want to cross the road, when you are driving. In this post you can read advice on how to drive safely in Iceland, especially in winter. There are some specific rules that you need to bear in mind, but overall it won’t be too different from your usual driving experience. So in case you are still hesitating, we would strongly recommend you to travel across the country in a rental car, as it is the best way to discover Icelandic beauty. So what are the must see places on the way? When you will be driving through South Iceland, you should definitely visit a small town Vik, it has fascinating black sand, which gives a place a unique and mysterious atmosphere. There are also amazing waterfalls on the way, particularly Seljalandsfoss and Skógafoss. 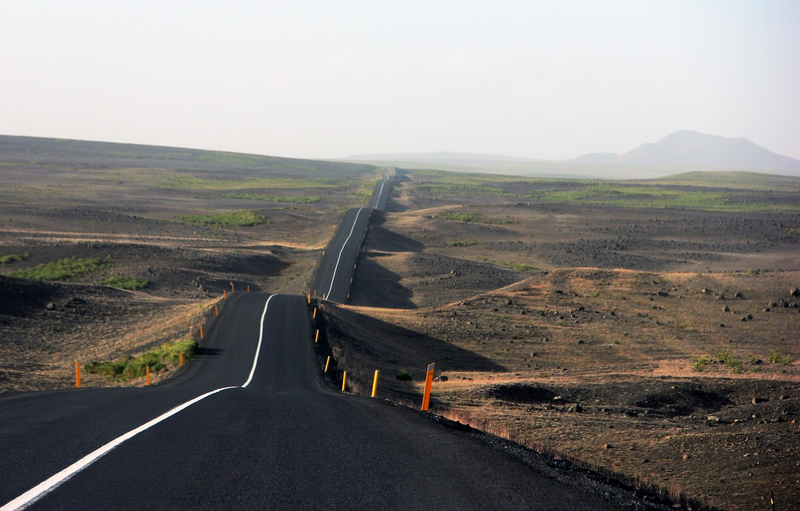 Driving further in East Iceland you would enjoy marvellous views on fjords and mountains. On your way you would have a chance to visit the biggest forest in Iceland: Hallormsstaður Forest. Another attraction would be wild reindeers, as they can be found only in this part of the country. Up North we would strongly recommend you to visit Myvatn lake, it is a fascinating area with caves and hot springs, it also has a big variety of Icelandic birds. Obviously, you can’t avoid visiting the North capital of Iceland – Akureyri. It has a great landscape, vibrant nightlife and one of the best ski resorts in the country. Although the majority of attractions in West Iceland are located off road, there are still some great places that you can explore. For example, Esjan mountain, which takes only few hours to hike or a beautiful little town Borganes, which is located pretty close to Reykjavik. Even though the route goes across the country, it won’t take more than 7-10 days for you to drive Ring Road, of course it depends on how many places you want to visit on your way. So if you are planning a trip to Iceland, we would highly recommend you to rent a car and explore the beautiful landscapes of the country! Car Rental in Iceland with Reykjavík Cars.